There may be someone on the planet who doesn’t love trees. If so, I am quite sure they’re rather strange and lonely and probably very sunburnt. Most people don’t just love trees, they’re crazy about them! At least that’s one of the take-aways as the Rollinger Tree Collection 50-Year Survey Project winds to its conclusion. Alan (Al) Rollinger has been a leading landscape designer responsible for designing the plantings of hundreds of residential and commercial properties throughout the Denver Metro area and beyond. When he began his career in the 1960s he felt constrained by the relatively small palette of trees sold commercially: Surely there had to more choices? He spoke to Harry Swift—owner of Western Evergreens, which was unquestionably the greatest nursery of its time—and asked what trees can grow in Denver. Harry told Al if he wanted to know he should go out and take a look. Which is precisely what Al proceeded to do: he spent two years pounding the pavement down every street in Denver, seeking out unusual trees. 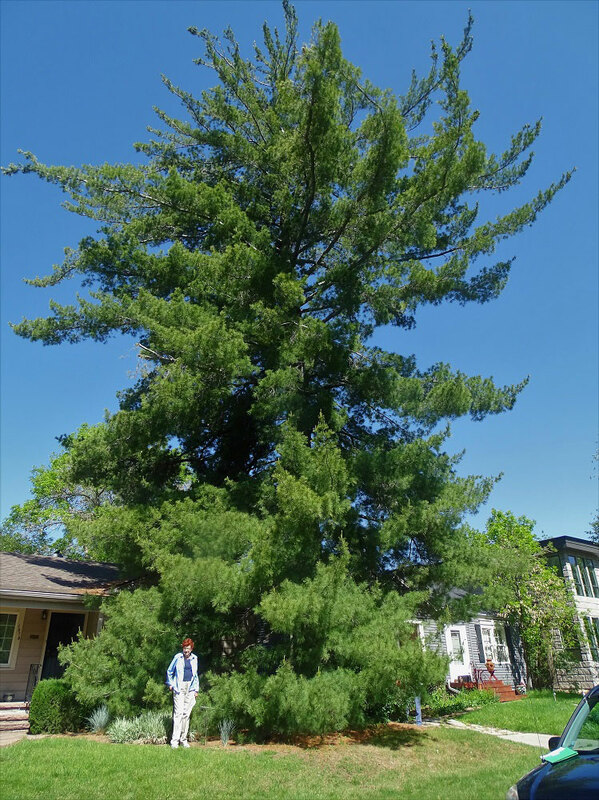 He eventually compiled a list and measurements of 1,148 trees that were not the usual run of silver maples, honey locusts, green ash or blue spruce. He spied out all of Denver’s oaks at the time, the oddball plane trees and unusual pines. He then published his list and some observations in a mimeographed report and shared it with the Helen Fowler Library and leading horticulturists at the time. 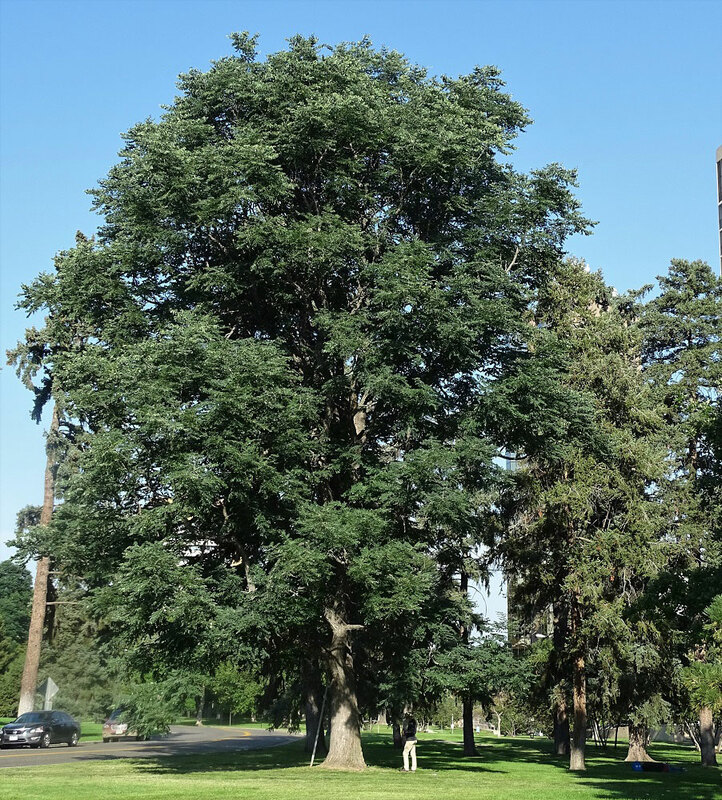 Many of us have used “the Rollinger list” to seek out the special trees of Denver. 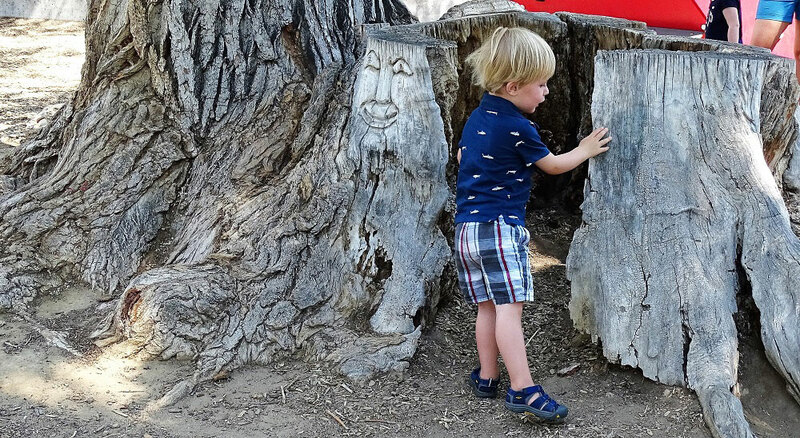 Nowadays, communities across the country are realizing the cultural significance of old and large trees, and some cities have designated them “heritage trees” due to their venerability and historical importance. Al published his list in 1969; several years ago, we realized the half-century anniversary was fast approaching. Why not revisit the trees that have survived and measure them? 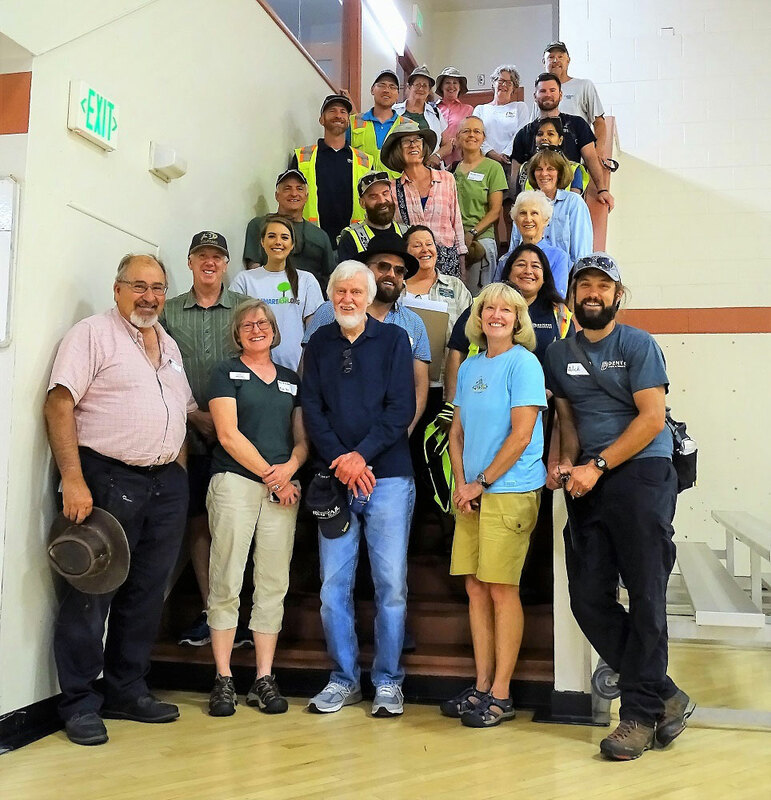 An initiative was conceived involving city arborists from Denver (and surrounding communities), Colorado State Forest Service and the Colorado Tree Coalition. 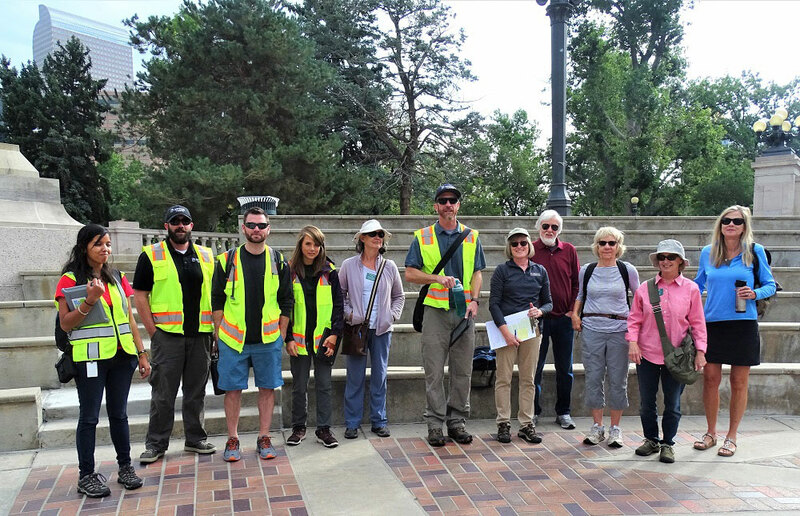 The Master Gardeners of Denver County provided much volunteer help on the many field trip dates, and Ann Frazier, project manager in the Outreach Department of Denver Botanic Gardens, coordinated the extensive review of Rollinger trees. The last trees were sought out and measured this past autumn, and a report on the project is being drafted this winter, to be released this coming spring. The process has been extremely rewarding for all participants. We were enchanted to find so many enormous and healthy old trees around town, each one more majestic than the next. We were thrilled that so many homeowners loved their trees, thrilled they were part of the survey. We’ve been heartened that 691 of the original Rollinger surveyed trees still exist (that’s almost exactly 60% of the original trees!). A surprising number of these are oaks, Kentucky coffee trees, buckeyes and horse chestnuts—the real winners of this Methuselah contest! And we’ve been joined along the way by a truly ebullient and still youthful and dynamic Alan Rollinger, who seems to be as surprised as he is delighted that his lonely survey 50 years ago has required a whole army to re-enact this time around! 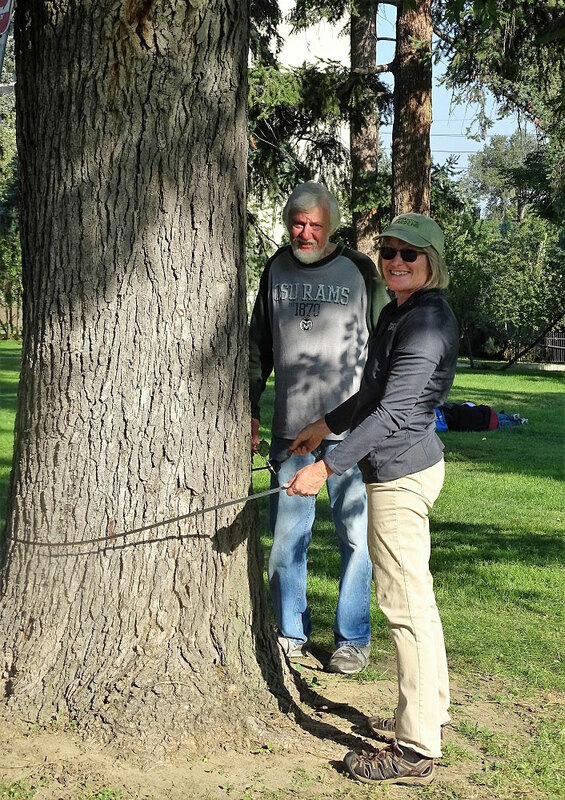 Denver Botanic Gardens, in partnership with the University of Denver’s Arboretum, will host the 6th Tree Diversity Conference with nationally renowned tree experts on Friday, March 8, 2019, 8:30 a.m. —4 p.m. This is a great way to find out the latest news in the world of street trees and Denver landscapes! Here is more information about the conference, including bios of the speakers. What a valuable tool to have! Here in the old Animas City neighborhood of Durango, Colorado, I've noted the die-off of many older trees over the short past couple of years. The dead/almost dead were all planted around the same time 50 years ago or so, and most of them are the usual suspects (silver maples, etc) that were the only trees offered at the time, especially in Durango. In the 60's, Durango was just a dirt-poor backwater summer touristy town trying to deal with an energy boom. Not exactly conducive conditions for responsible horticulture or vast selection of trees. As the bad stuff comes down and the better succession trees are planted, it's a hat tip to knowledge gathered and shared regarding lifetime plants such as trees. Sadly, people have this aspen fetish. Even here at 6,500 feet, aspens don't reliably turn gold in fall (the main reason to plant them?). They sucker, get diseases, grow too tall and die quickly. They are wonderful in the wild. Not so much in town. Yet, after 50 years of knowledge that isn't a decent urban tree, it's still planted like petunias. (Sigh...).